Directions As a dietary supplement, take 1 capsule daily, between meals. 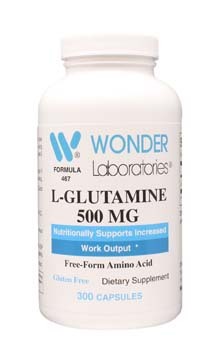 Those using L-Glutamine as a possible ergogenic*** aid use 3 to 9 capsules daily, taken between meals. ***Ergogenic: tending to increase work output. What Is an Ulcer and What Can You Do About It?